Magical things happen when you take two hours to yourself for the first time in a month. I grabbed some bags, clippers, and gloves and headed out to gather something else entirely when I stumbled upon a prolific stand of native chamomile. Chamomile grows readily here in the Sequoia National Forest but it is a small plant and you are most likely to notice it on the edge of walkways and in driveways where it is slightly stunted and gasping for water, especially in this very bad drought year of 2014. I filled my empty bags with chamomile and brought it home. Most people have tasted chamomile in some sort of “night time tea” — chamomile promotes sleep through relaxation. Its flavor is quite mild. In fact, it had never occurred to me to seek out the plant for flavor. One soda experiment later and we were out harvesting more, my five-year-old an old pro after our “chamomile tea hike” last year (here). The kid would hardly walk due to his chamomile fixation. He even claimed to be building up “a stash.” Where does this kid get these expressions? Hmmm. 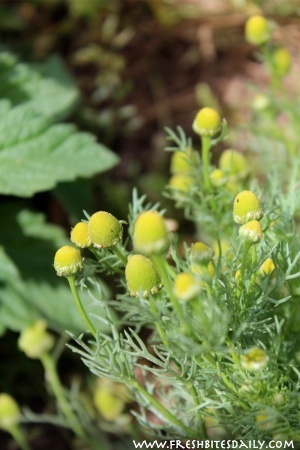 Even though it is small, chamomile is easily harvested. My preferred technique is to cut off the blooming tops and use the flowers and any stem I happen to gather in my recipes. The stem and leaves are edible as well but the “money part” of the chamomile is definitely the flower. I brought home a bundle, brewed up some for more syrup, and put the rest in the dehydrator for later. To make a successful chamomile soda, you need a strong chamomile infusion — basically as much chamomile packed into your brewing water as you can manage. I filled my 2-quart saucepan with chamomile and then covered it with water, brought it to a boil, turned it down and simmered it to reduce the liquid by about a third. I then turned off the heat, covered the pan with a lid, and let it sit overnight. In the morning I strained off the liquid, measured it and reheated it. When it was heated, I added one-third as much honey. If you add sugar instead, I definitely recommend a white sugar. The chamomile flavor will not come through if your sweetener has molasses in it. If you add more sugar as you typically would in making a simple syrup, you risk having an extra-sweet soda with little chamomile flavor. I recommend taking a light touch with the sweetener until you work out a flavor proportion that works for you. 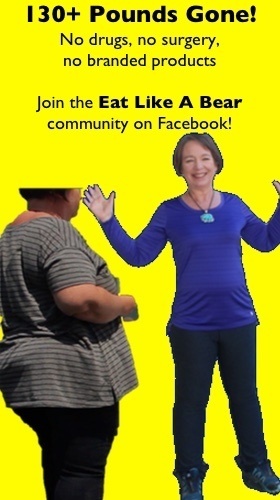 As a starting point, these are my basic proportions. Four cups of water, or just enough to cover your chamomile. Add clean chamomile to a 2-quart saucepan. Bring to boil and then reduce heat to a simmer. Simmer for an hour or so (whatever is convenient to you) to reduce the liquid. Turn off the heat but cover the infusion overnight. After sitting overnight or for some hours, strain the liquid from the plant material and reheat the liquid — your strong chamomile tea. Re-heat the chamomile tea, add the sweetener, and stir until the sweetener dissolves. This is your syrup. 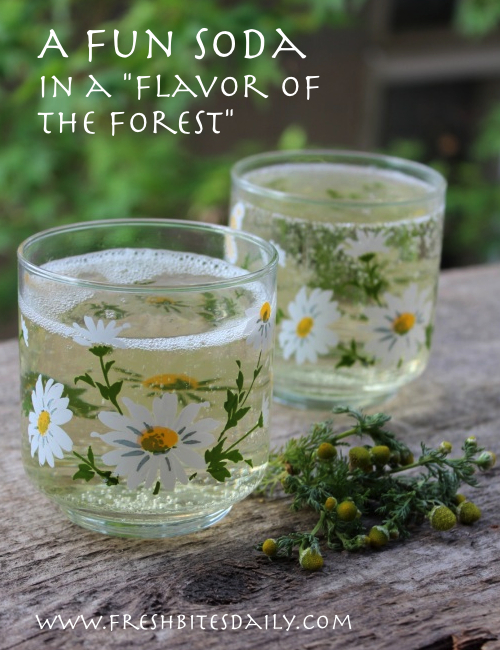 Refrigerate your chamomile syrup to add easily to seltzer. Add 1-2 tablespoons of syrup to 12 ounces of seltzer, to taste. As a fun variation, add a small portion of vanilla extract to your syrup — about two teaspoons for your entire batch of chamomile syrup. Too much vanilla will overpower the chamomile but just a hint of vanilla moves the flavor into a fun creamy experience.